The date, November 11th 2018. The venue, the Red Lion Hotel situated in Cromwell Ct. The first thing you will notice is the Hotel itself is massive. It could, and does, accommodate an immense amount of meetings and conferences all at the same time. My wife and I wandered through it at first seeing conference room after conference room for various American Legions. After doing at last what any sane person would have done first, we got the actual directions to the Expo. My first look at the Expo was a little perplexing. It looked like it was situated in a hallway. 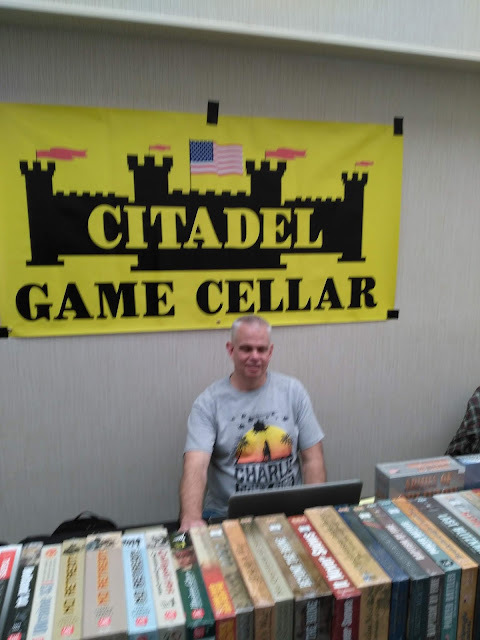 I found out that was just the setup for Compass Games themselves and the Citadel Game Cellar (more on them later). So after taking care of getting admittance, I could then see a large room to the left that was for gaming. Compass Games plans to make this a yearly gathering and has assured me they are going to go for a larger part of the venue next year. Not that there wasn't enough space, they are just hoping to draw in a much larger crowd. It being on a Sunday morning that I went I am sure Saturday and Friday were much busier. The Expo's dates were from the 9th to the 12th of November. 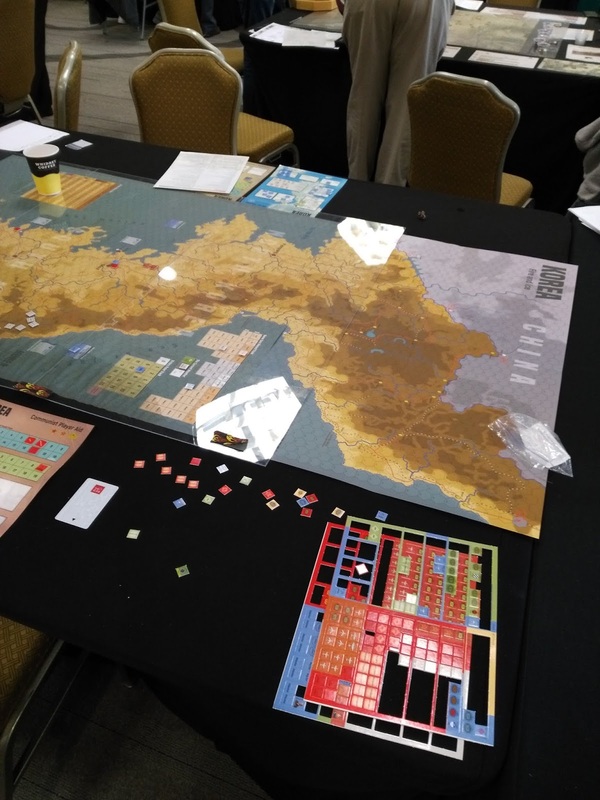 I had only two Compass games pre-Expo, and those were Sovereign of the Seas and Red Poppies. Well, thanks to Compass' great deals and my wife's permission, I now have three more. 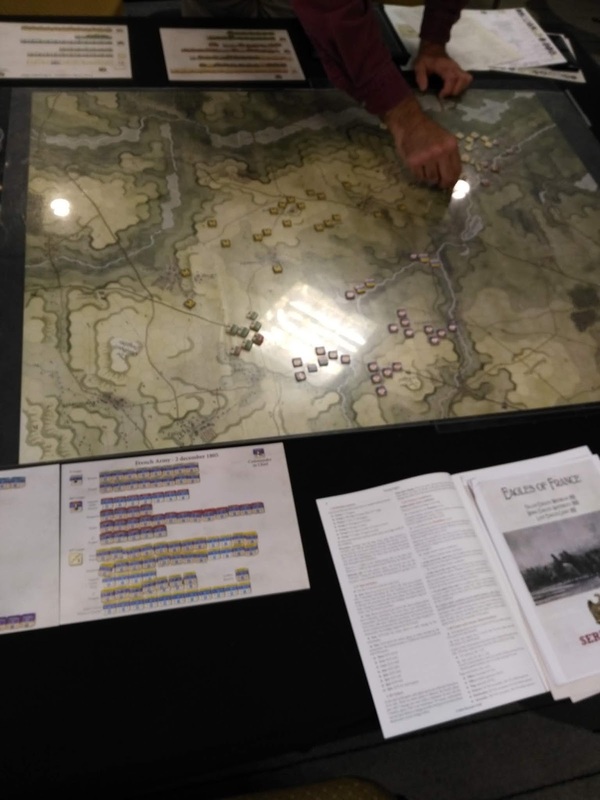 These are 1866-The Struggle for Supremacy in Germany, Nine Years-The War of the Grand Alliance, and the piece de resistance Night Fighter Ace. I will definitely be doing a review of Night Fighter Ace and possibly the other two if given the time. The gaming tables had many Compass Games, but also several others. Also on hand were the almost finished products of a few of the upcoming games from Compass. Everyone was congenial and seemed happy to be there except my poor put upon wife. 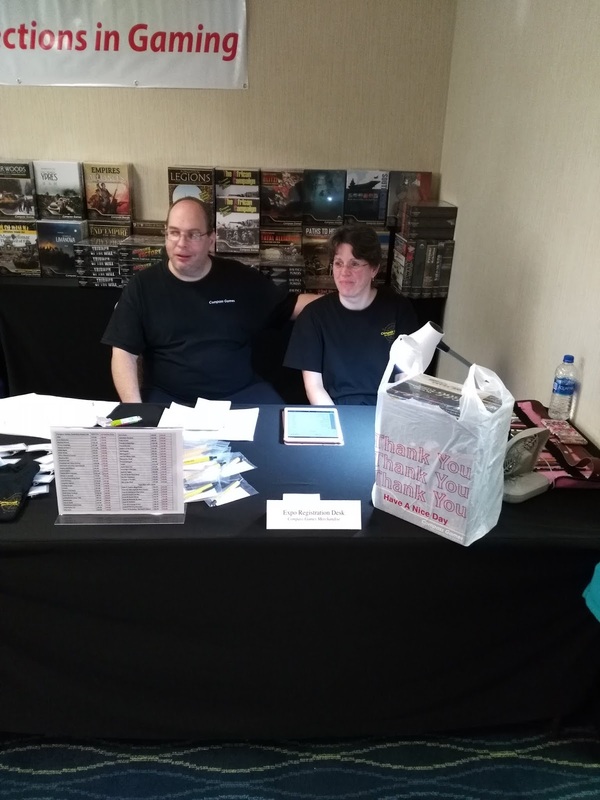 However, Bill Thomas from Compass Games took pity on her and engaged her in a non-wargaming conversation. She wasn't upset to be there, but there was almost a look of, not confusion, more of a quizzical look in her eyes (almost as if she'd encountered aliens). 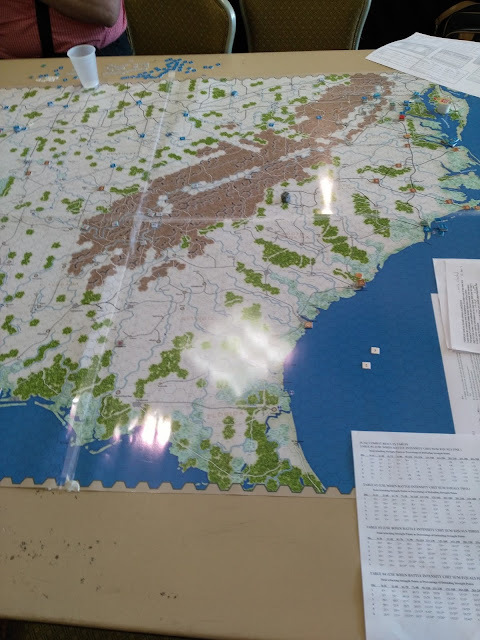 Having only known one wargamer for thirty-five years she had no idea there were others. She also might have been doing mathematical calculations in her mind, trying to compare the size of my eyes looking at the games to our checking account. I did not have time this year to sit down for any gaming, but I am looking forward to it next year. This was my first gaming convention/expo ever so I really had no idea of what to expect. I have seen write ups about them, but didn't know exactly what I would be walking into. I was pleasantly surprised and believe I am hooked now. I had mentioned Citadel Game Cellar earlier. They were there with a lot of games also with good sales for the Expo. They are situated in Groton, CT, and I believe the first time I went there I was eighteen years old. That is a lot of years ago. Once upon a time my idea was to have myself buried under one of their aisles. I never mentioned this to the owner (mostly from fear of being banned), or to anyone else, just in case. You can never be too careful of these things, although they should take it as a compliment because at another time I wanted to be buried under Yale's Library card catalog.